When our team set out to bring AR to our visual experience platform, we came to the conclusion that focusing on the browser instead of focusing on apps was the way to go. Movable Ink is known for its accessible, front-end technology. So, going the web route instead of the application route made the most sense for our clients. They don’t have to use a game engine like Unity. They don’t have to hire a whole new team. They can use front-end development tools to create these experiences, and eventually, that process will be as easy as a drag and drop. It’s all in the platform. 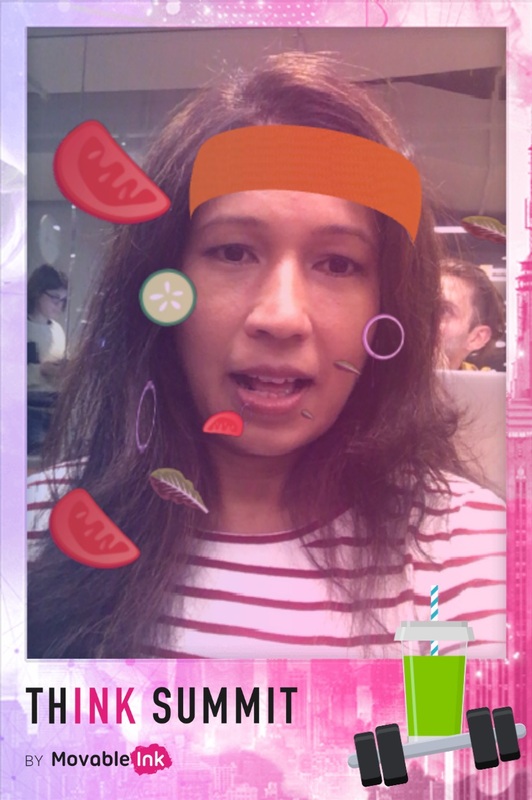 Most importantly, these web AR experiences are accessible to users on the web via the browser, without an app download – one of the biggest obstacles to AR engagement. Creating visual experiences was a major theme at Think Summit this year, so we got together with the events team and brainstormed ways to surprise and delight our attendees. The events team told us the four different concepts they had for the choose-your-own activity night they were planning. We started thinking about what makes the most sense. We kept the concepts really simple. 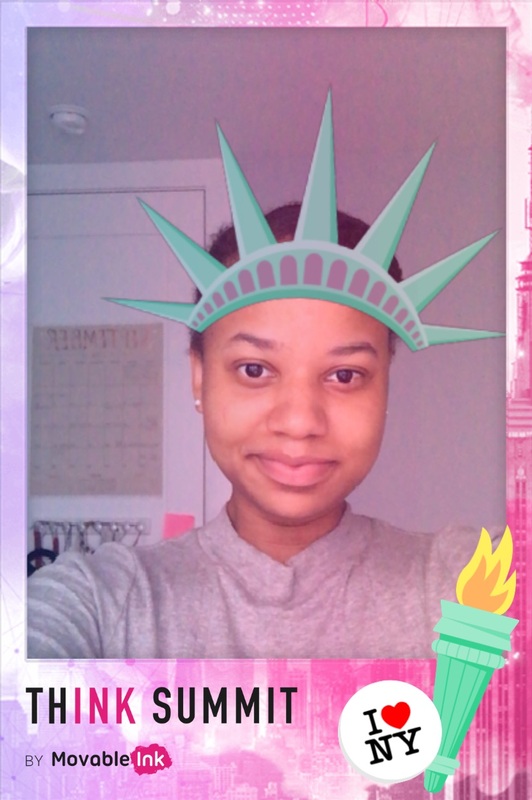 For example, the “Find Your Oasis” activity was a fitness class, so that filter was a headband. We added a little gamification for that one too – so when you open your mouth, vegetables start flying into it. 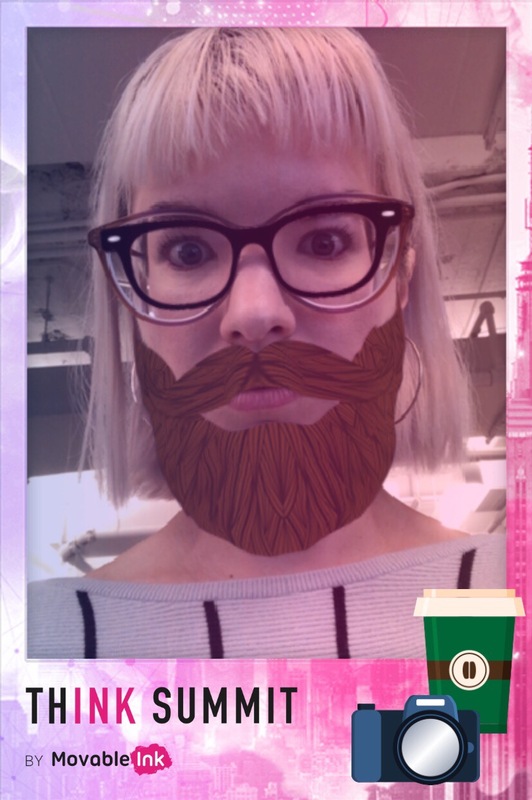 While AR is lighthearted and fun, the engagement lift brands can generate is no joke. While using these filters, the length of sessions are well over one minute. But you can accomplish so much more than capturing attention. For example, if you know a customer is considering a furniture purchase, it’s now possible to have them visualize a product in their home before buying. This level of engagement can help incentivize and encourage your customer to purchase any item they were looking at. 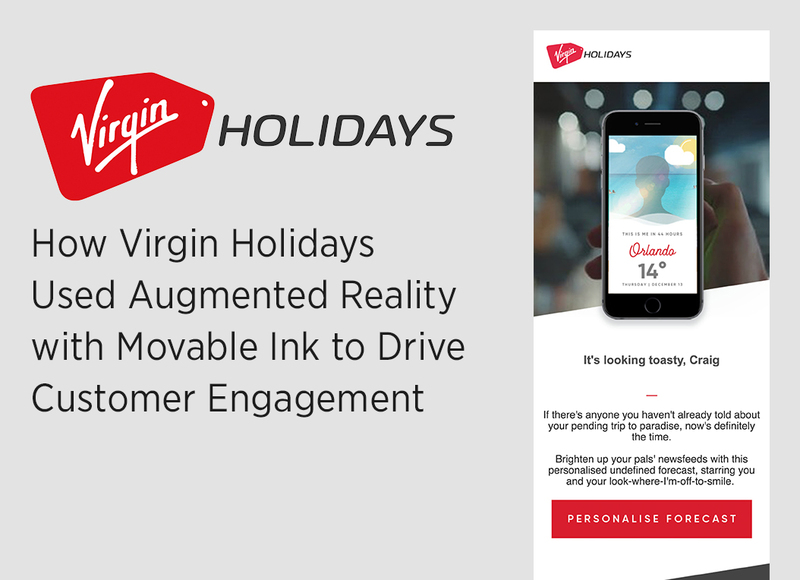 Virgin Holidays used our AR capabilities to increase post-purchase engagement and encourage customers to picture themselves in different destinations. Customers will also have the ability to share images of their experiences on social media. And it doesn’t stop there. 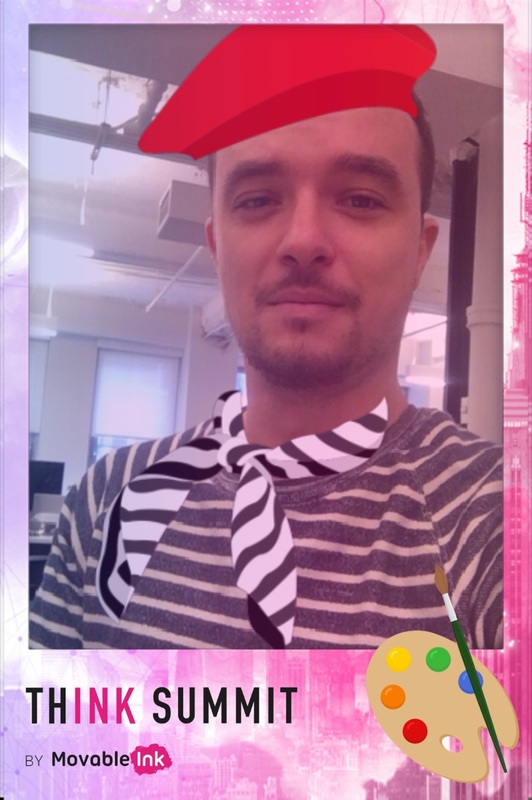 If you’re a Movable Ink client, you can now use our visual experience platform to bring real-time personalization to AR. We can send in a dynamic title and description based on customer data or adjust a filter based on weather or location targeting. The applications are endless and practical, which is why we’re so excited to bring AR to our clients. We’re excited to share our AR projects with you in the near future. Until then, you can try out our Welcome to New York, Been There Done That, Find Your Oasis, and Embrace Your Inner Creative Think Summit filters. This entry was posted in Content Marketing, Think Summit and tagged ar, augmented reality, think summit, visual experience platform on February 19, 2019 by Carine Alexis.